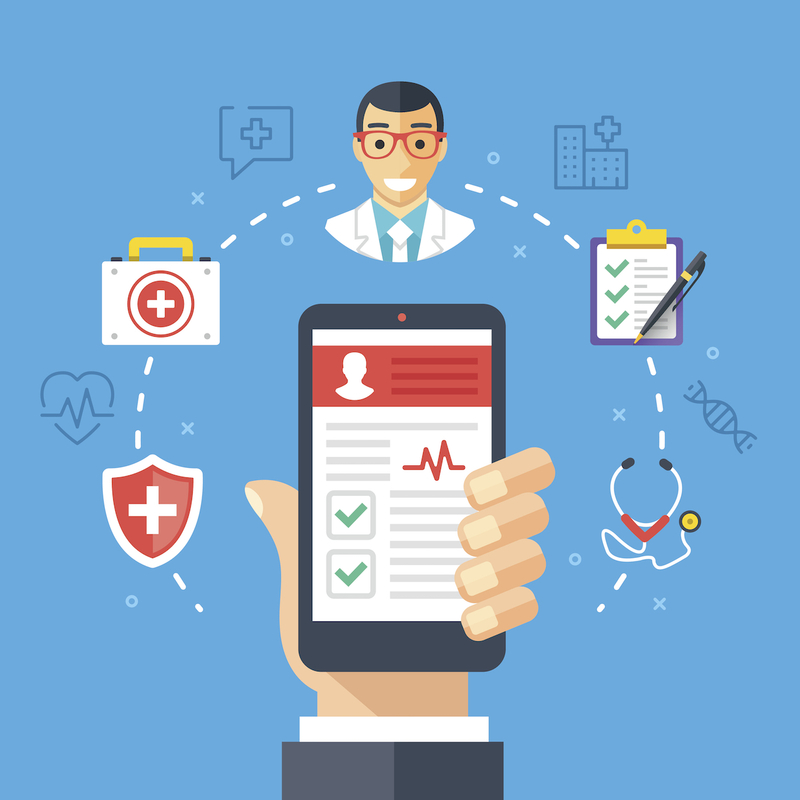 WHETHER IT’S TO EDUCATE PATIENTS, calculate anticoagulation risks or choose the best test to order, doctors with smartphones ought to take some mobile medical apps with them on their rounds. That was the message that Anoop Agrawal, MD, a med-peds hospitalist at Houston’s Baylor College of Medicine who specializes in integrating technology into medical education, delivered at last spring’s Society of Hospital Medicine meeting. He explained that “integrating a few apps into patient care” could make physicians’ work lives much easier. From the thousands of mobile medical applications aimed at health care providers, Dr. Agrawal suggested a dozen or so top contenders. Most are free and available for both iPhones and Androids. And while some are available only on the Internet, they can still be used at the bedside through the Web browser on your smartphone. • DrawMD allows doctors to access medical artwork templates—of a heart, say, or a colon—then draw on them or use offered “stamps” to show patients what their condition is or what the recommended treatment will do. For instance, Dr. Agrawal has used the app to explain diverticulitis “without having to draw it myself,” starting with the available picture of the colon and adding pre-made stamps to show diverticula and bleeding. Pictures can be saved, printed or e-mailed to patients. • CardioVisual has more than 100 short informational videos about cardiovascular diseases, some from agencies like the NIH and some from device manufacturers. To explain something like a DVT to a patient, for example, the app offers a video about what DVT is and videos about IVC filters. Those clips can be saved to a device, which is good in hospitals or offices with unreliable Wi-Fi or Internet. • OrcaHealth is “that rare bird that is available only on IOS (for Apple devices) and is going to cost you a little money,” Dr. Agrawal said. But for doctors who do a lot of teaching, the app’s high quality videos, 3-D animations and other graphics make the price worthwhile. Digital whiteboard apps are also incredibly useful, said Dr. Agrawal. You can use many of these—including BaiBoard and Explain Everything—to create your own patient education material by importing pictures and articles and writing your own text. • Formulary Search (also known as Formulary Lookup) searches all commercial, Medicare and Medicaid formularies and will tell you if a drug is covered, preferred or requires preauthorization. The app also offers covered alternative choices. He’s also a big fan of a newer version: GoodRx for Doctors. Physicians can text or e-mail patients information about drug pricing at local pharmacies. That information will appear to be coming directly from GoodRx, and it won’t reveal the doctor’s e-mail address or phone number. Among the most relevant apps are several that provide comprehensive information about clinical conditions. Moreover, Dr. Agrawal said, many of the best come from “reputable, reliable” sources. That’s important because, as long as apps aren’t considered medical devices, the FDA has said it does not plan to regulate them. 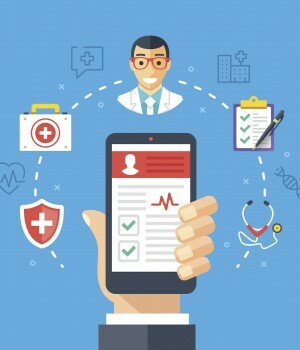 The most recent FDA white paper on mobile medical apps, which was issued in February 2015, drew a “hard line between apps used to educate, have a conversation, teach a patient” and those intended to end up in the medical record, with a potential to harm patients if the app information is in error. • The American College of Cardiology’s (ACC) Guideline Clinical App has “one of the best user interfaces I’ve seen.” It also provides a “one-stop shop” for many cardiac care-related guidelines and calculators. One handy feature, he pointed out, is interactive decision trees. • ARUP Consult is a Web-based lab selection tool that “educates you on how to use labs and when it’s appropriate to order tests,” Dr. Agrawal explained. It quickly can tell you, for instance, “the utility of ordering a lipase vs. an amylase in the diagnosis of acute pancreatitis.” The app links the summaries to documentation and resources like a Choosing Wisely recommendation on lab tests. • The CDC’s new Opioid Guideline App is one of the center’s many useful apps, and it includes an “easy tool” for calculating morphine milligram equivalents. • Michigan’s Anticoagulation Quality Improvement Initiative MAQI-2 and the ACC provide useful anticoagulation calculator apps. Meanwhile, mobile medical apps in the pipeline may be quite futuristic. “We have driverless cars, so could we ever have doctor-less patients?” Dr. Agrawal asked. And apps already on the market use smartphones to connect devices and patients to physicians. Consider the Cellscope, a smartphone attachment that parents can use to take pictures of their children’s eardrums to send to their pediatrician, who can respond with a prescription. Or there’s Alivecor, a pocket EKG device and app, and CliniCloud, a stethoscope that connects to your phone.